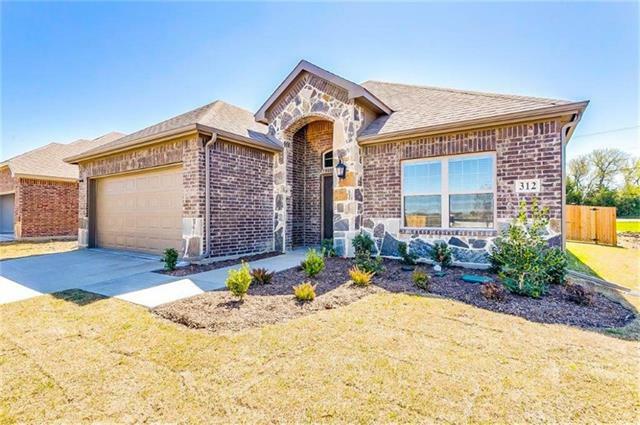 All Crandall homes currently listed for sale in Crandall as of 04/25/2019 are shown below. You can change the search criteria at any time by pressing the 'Change Search' button below. 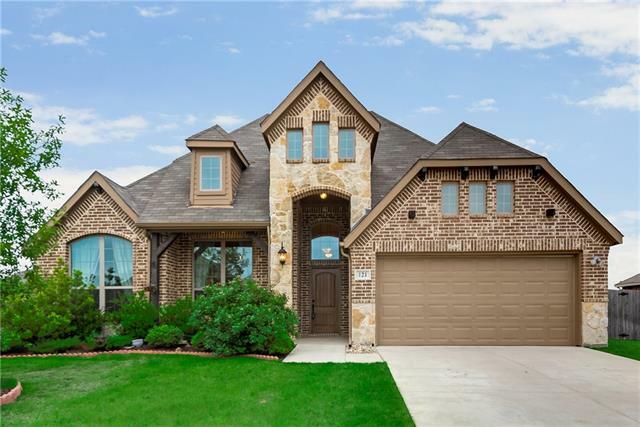 If you have any questions or you would like more information about any Crandall homes for sale or other Crandall real estate, please contact us and one of our knowledgeable Crandall REALTORS® would be pleased to assist you. 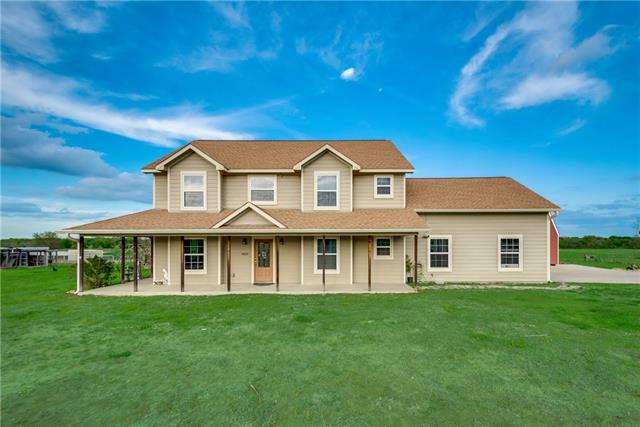 "Gorgeous 2 story home on 10 acres! 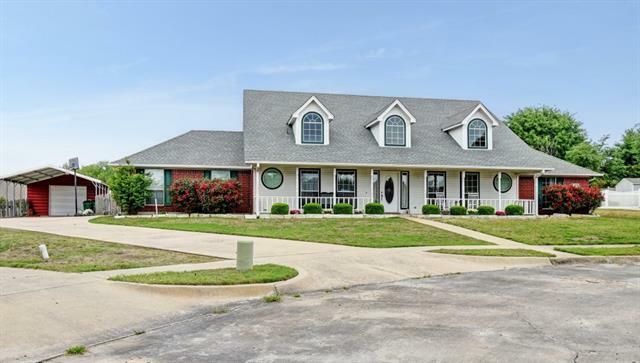 You'll love the wrap around porch with large patio & sun room overlooking the pasture & beautiful sunrises. Home features 4 bedrooms, 2.1 bathrooms, office, living area, & dining room. Large kitchen with granite counter-tops, custom island with electricity, & SS appliances. Office downstairs with half bath. Upstairs you'll enjoy the 4 bedrooms, 2 full bathrooms, & utility room. Barn shaped workshop with covered patio includes AC, heat, kitchenette, & full bath." "Beautiful NEWLY custom made 3 bedroom, 2 bath home. 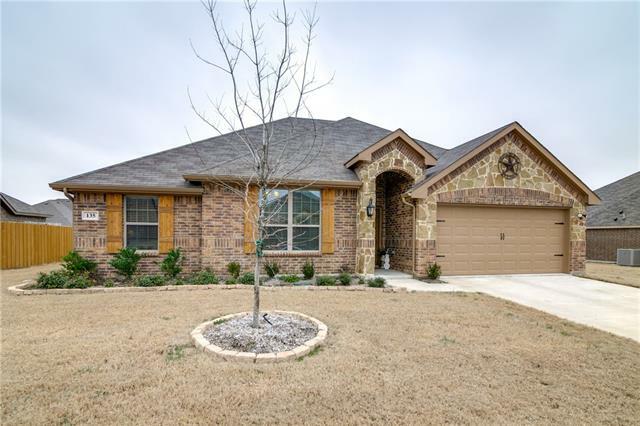 Nicely gated with a nice pasture all around.Don't miss out on this rustic family styled home, ITS A MUST SEE"
"Beautiful 5 bedroom with an office, 2.5 bath custom contemporary home with a fireplace and large outdoor covered patio sitting area on a little over 2 acres in Crandall, TX. This is a must see listing and will not last long! Please call the listing agent to schedule showings." "NEED SPACE? 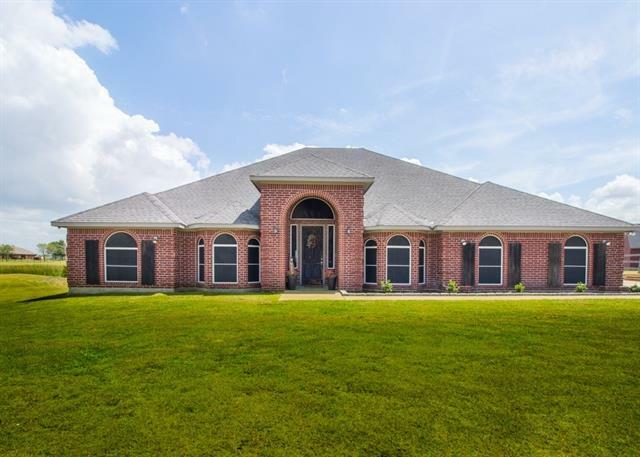 Located in Crandall ISD, this BEAUTIFUL custom home with 4 bd & 4 full baths on 1+ acres has crown molding, tray ceilings, formal dining, study, split bedrooms, sunken living room with fireplace. The kitchen with granite c-tops, breakfast bar, island, abundance of cabinets; enjoy the out doors through the wall of windows in breakfast & living areas, French doors invite you to the HUGE backyard with covered deck; relax in the master suite with sitting area, double sided fireplace, jet"
"This is a beautiful property that has been well taken care of in great condition. 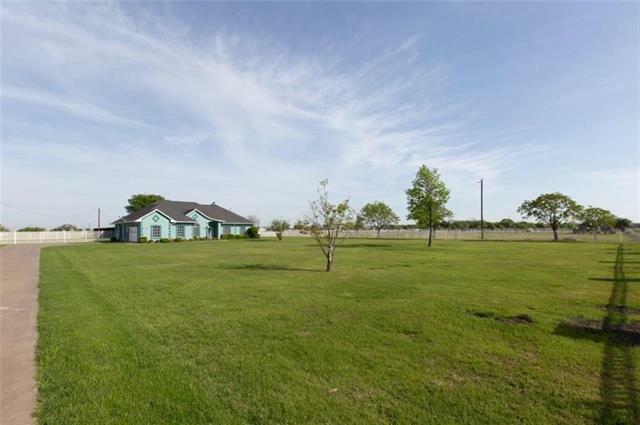 Enjoy country living on almost a full acre. Traditional 4 bedroom and 2 bath that has excellent curb appeal. Has mature trees with ample room for a garden. The location is just minutes off of HWY. 175 and about 20 minutes from Dallas city limits. Kitchen is open and overlooks the backyard with plenty of shade area. 4th bedroom could be utilized as game room, media, or play room. The interior has been repainted "
"YOUR OPPORTUNITY TO OWN THE LARGEST LOT IN THE NEIGHBORHOOD. This stunning two-store home sits on a cul-da-sac lot. Almost .5 an acre to have the dream backyard you have always wanted. Open Concept floor plan leaves plenty of room for the whole family to enjoy. This home boasts sprawling ceilings with large windows to experience all the joys of natural lighting. This is the perfect home for a growing family, or just needing extra space. This is the RARE & HARD TO FIND floorplan with ALL4 "
"Opportunity! 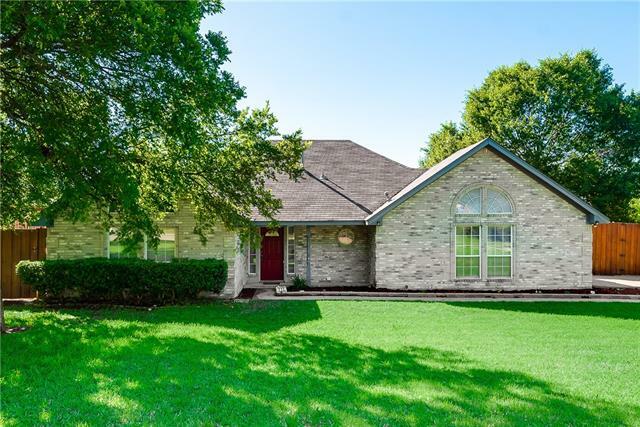 Here s your opportunity to own this gorgeous country home sitting on six beautiful acres just 30 min from downtown Dallas. This home has so much to offer! It has a nice open floor plan with high ceilings throughout, 4 very large bedrooms and 3 bathrooms. It has an awesome bunkhouse room upstairs perfect for the kids to have sleepovers or used as a private office. The kitchen has all the amenities you could want with gorgeous hardwood floors throughout. Outside is a wonderland f"
"PROUDLY WELCOME GUESTS on your XL FRONT PORCH to this DREAMY AMERICANA RANCH home featuring CHARMING dormers & EXQUISITE landscaping on a cul-de-sac HALF ACRE LOT! 1-story spacious interior offers FLEX spaces like Formal Dining & 4th BR (optional Study) in front. Cozy fireplace in Living Rm, beautiful BAY WINDOWS & patio door in Bkfst Rm! Your SIZABLE classic Kitchen provides PREP ISLAND, Cooktop, DOUBLE OVENS & Walk-in Pantry! Huge GUEST SUITE has WIC & pocket door to hall bath! LINEN CLOSET+2n"
"MLS# 13992275 - Built by Altura Homes - CONST. COMPLETED Jan 15! ~ River Ridge - Grand Denmark C 70X115 Corner - Beautiful home on corner home site.. 4 bedroom, 3 bath, 2 car garage. 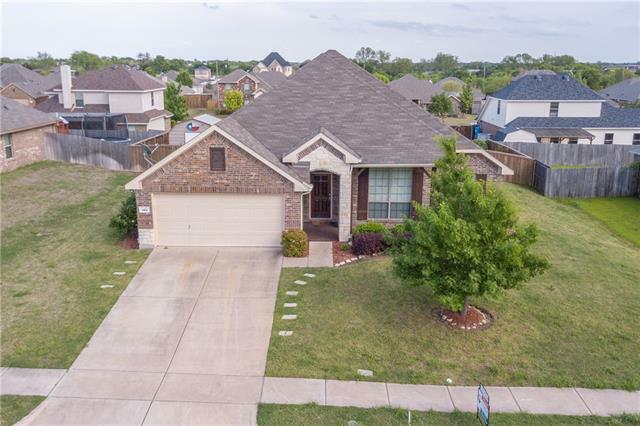 Spacious living area with granite countertops in the kitchen, stainless appliances (minus fridge), tile in all wet areas, full sod, sprinkler system, and fence. Master bath has a garden tub with separate shower. 13-15 SEER AC, Double Pane Windows, Electric Water Heater, Radiant Barrier and more energy savings A must"
"Charming open floor plan offers arched doorways, art niches and an abundance of windows for natural lighting. The inviting kitchen boasts beautiful granite counter tops, ss appliances with island, pantry and separate dining. Spacious living area with recently installed vinyl floors, w-fireplace opens to covered back porch that makes it perfect for unwinding or entertaining in oversized backyard. Relax in your master suite with sitting area, oversized shower with seat or soaking tub! Watch the ki"
"MLS# 14043713 - Built by Altura Homes - CONST. 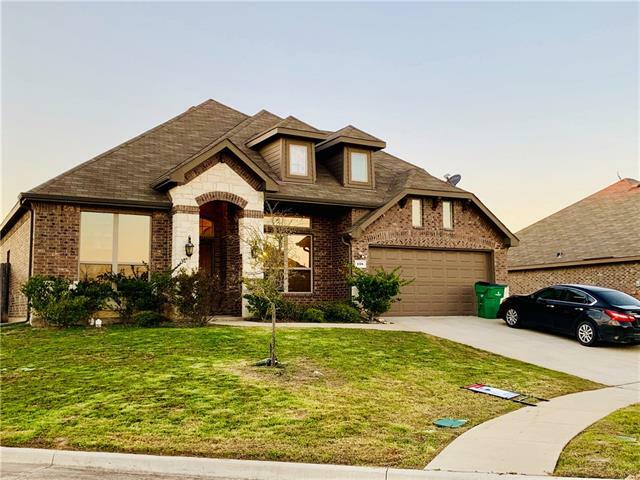 COMPLETED Apr 15 ~ Beautiful 322 with granite counter tops in kitchen, tile in all wet areas, stainless appliances (minus fridge), garden tub with separate shower in master bath.. Full sod, landscaping, sprinkler system and gutters also included. A must see!" "Welcome Home to this beautiful spacious living area in the friendly Trinity Meadows neighborhood. This four bedroom, two bath, plus a study features recently updated paint, granite counter tops, and some appliances. The living room has an updated ceiling fan and wood burning brick fireplace. Enjoy the back yard with the extended patio - great for entertaining! This property boasts with ownership. Make your appointment today. This property will not last long." 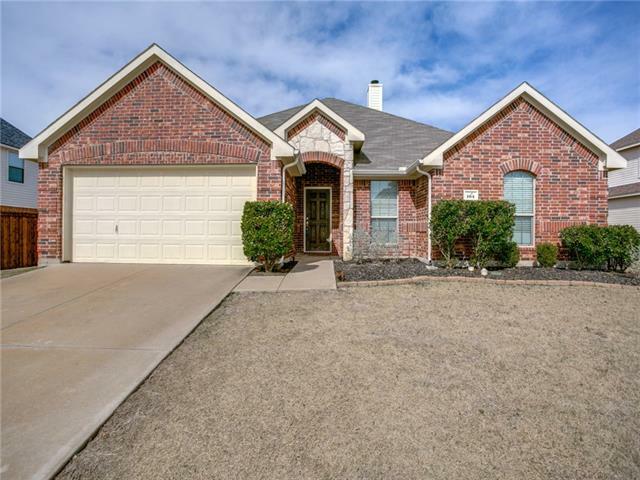 "Beautiful home in Crandall school district with easy access to Dallas. You will have plenty of room with 4 bedroom, 2.5 bath that is ready to put your individual touches on it. Seller is willing to give carpet allowance so your new home can start fresh. Master bedroom with plenty of space along with a master closet but enough for both. Back patio to enjoy the outdoors. Come see this open floor plan." "MLS# 14043707 - Built by Altura Homes - CONST. 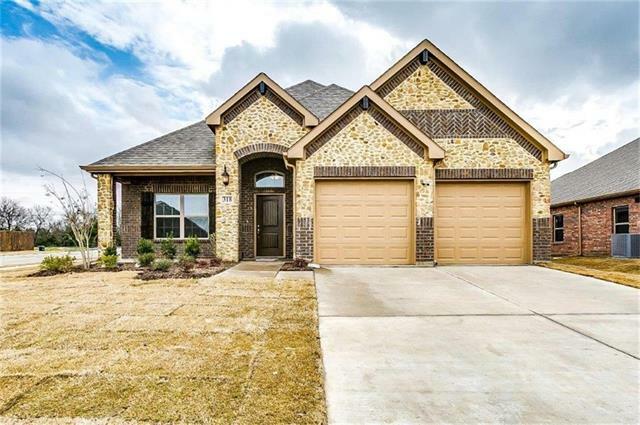 COMPLETED Apr 15 ~ Beautiful 422 with granite counter tops in kitchen, tile in all wet areas, stainless appliances (minus fridge), full sod, sprinkler and fence included.. Also has a garden tub with separate shower. A must see!" "Beautiful Home Decorated with Love and that special country charm. 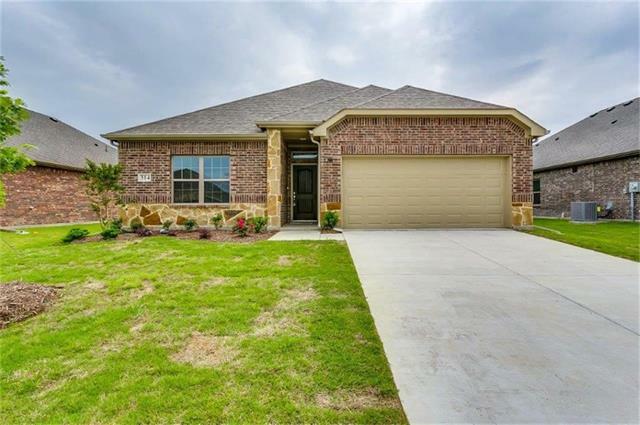 Built in 2017, home is almost new and Builder Warranty is transferable! Needing to move in quickly? You can with these sellers! This home offers so much and has a great yard for you to start planning your own garden! Spa like Master Bedroom Bath dual sinks never used Garden tub and large walk in closets! Open Kitchen with island is flooded with natural light. Custom cedar shutters and sprinkler system. Why wait for new construc"
"MLS# 14067516 - Built by Altura Homes - July completion! 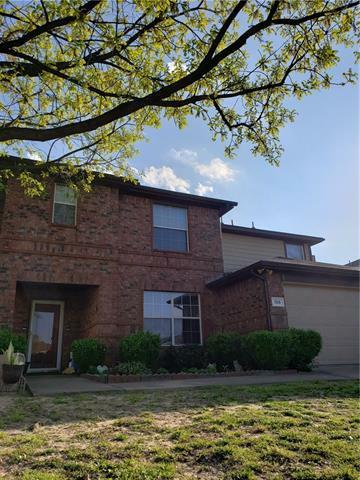 ~ Nice 322 with granite counter tops in kitchen, tile in all wet areas, garden tub with separate shower in master bath.. Full sod, sprinkler with fence included. Stainless oven, microwave, and dishwasher." "Beautiful 3 bedroom, 2 bathroom brick home that features an open living and kitchen area, split bedrooms, and formal dining area. The windows have 2.5 inch blinds. In the back yard there is a large covered patio and deck, an adjacent open deck, and storage building. The back yard is surrounded by a wood privacy fence." "HONEY, STOP THE CAR! This home boasts a stone entry inviting you inside where the pride of ownership shows throughout; vaulted ceilings, rounded corners, and wood flooring are just a few examples; formal dining or study has french doors off the entry, leading into the kitchen featuring granite countertops, breakfast bar, WIP, tons of cabinets, kitchen nook w-builtin custom seating all overlooking the family room & providing tons of room for entertaining; split bedrooms gives the master bedroom p"
"Wonderful four bedroom home located in a great neighborhood on a cul-de-sac. This lovely home has a spacious formal living and dining area. Living area with a wood burning fireplace is open to the kitchen with breakfast bar. Master suite features master bath with garden tub and separate shower. Fenced backyard with covered patio." "Beautiful and spacious one storey Brick Home in Countryview. Oversize Backyard w mature Trees. The Home features a Large Secondary Living Room- Converted garage w central AC, a Wood Burning Fireplace w gas starter. Wood Floors in common areas. The Kitchen has a Dining area, Breakfast Bar and a Gas Stove. Walk in Pantry. Large Master Bedroom w Ensuite Bathroom. Convenient 8x10 Storage Building will convey. Must See! It won't last long!" 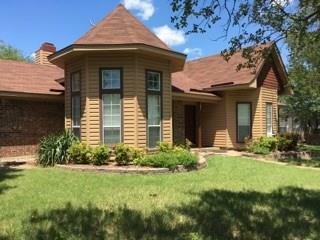 "Beautifully landscaped 3 bedroom home sitting on .37 acres in Willow Lake Estates. 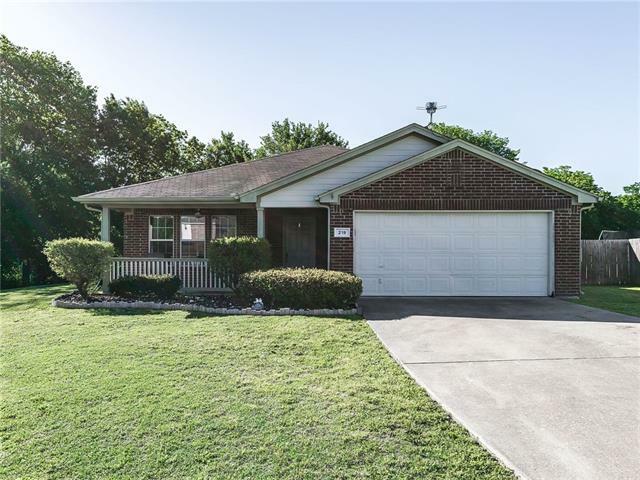 Home features updated carpet, interior & exterior paint, and kitchen with quartz counter tops, backsplash and stainless steel appliances. Large, open living room with gas fireplace, perfect for entertaining. 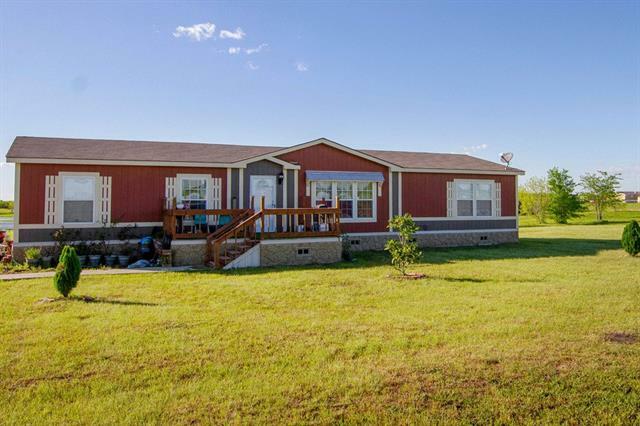 Outdoor features include: covered porch, board on board wood fence, large side yard, storage building, 24x24 metal building with electricity and small office with AC and heat. Driveway has been extended for ad"
"Country charm a short drive from the city. 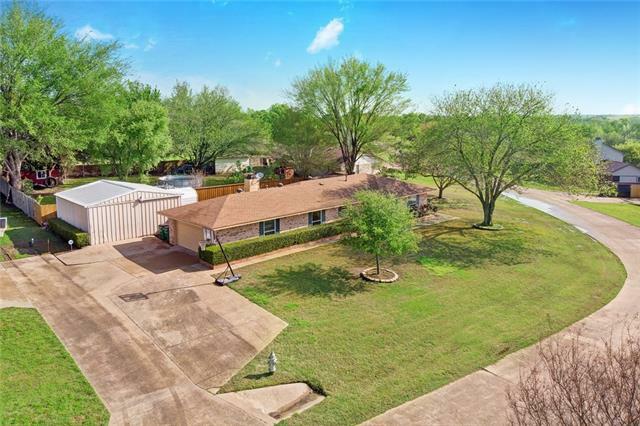 Just a 30 minute drive to downtown Dallas, don't miss this beautiful 4 bedroom home on a large corner lot in the highly-desired Crandall ISD. Lots of possibilities in this versatile floor plan. Spacious living area features wood-burning fireplace and is open to dining room and kitchen. Nice landscaping and covered front porch, as well as extended back patio. Use your creativity to make this great floor plan fit your needs." 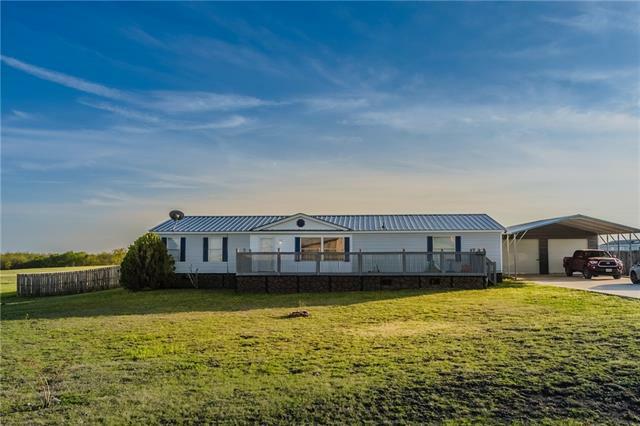 "Immaculate 2015 double wide manufactured home on a huge lot in the desirable Crandall ISD school district. This 4 bedroom, 2 bath home has a master bathroom that you will want to relax in for hours! It features a jetted tub, a separate walk-in shower, a sitting vanity area, and 2 separate walk-in closets. Sit out on the back porch and enjoy the large pond behind the house. Downtown Crandall is just minutes away from this developing community. You don t want to miss the deal on this move-in rea"
"Lovely Doublewide with an abundant amount of space for a large family! Features a beautiful 1 acre lot with pasture views from back deck & a huge custom deck for peaceful afternoon enjoyment. Also has new metal roof for low maintenance, a oversized 2 car metal garage, and a new concrete driveway! Living space offers a large open floorplan, high ceilings, big living room, fabulous sized kitchen that is most ideal for entertaining with its big breakfast bar & dining room! 3 Bedrooms with an Office"